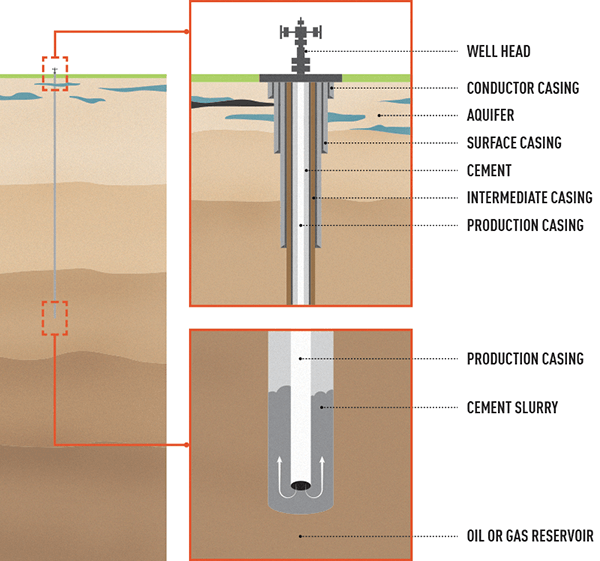 Drilling stops at regular intervals so that purpose-built steel pipes – or casing – can be installed, often in two layers. 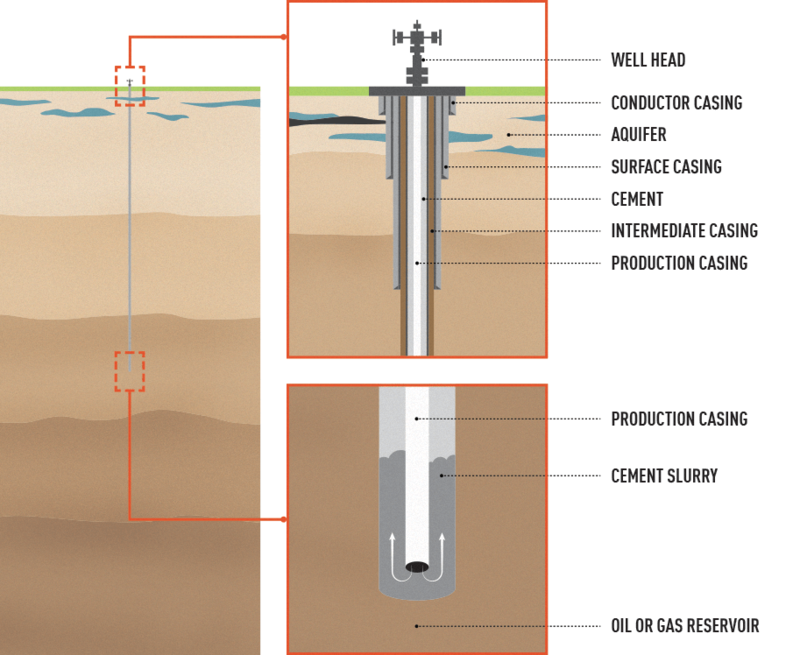 In onshore drilling, an area is fenced off around the well, which is now ready for production. The size of this area varies. In coal seam gas operations it is usually about 23m by 23m.